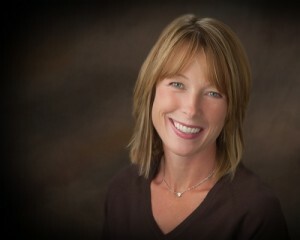 Kate Scarlata, RD, LDN is a Boston-based dietitian with over 25 years of experience in the nutrition field. Kate earned her Bachelor in Science from Simmons College in Boston, Massachusetts and her postgraduate training was completed at Brigham and Women’s Hospital. Kate’s focus is digestive health nutrition with a particular focus on IBS and the application of the low FODMAP diet for functional gut disorders. Kate is the author of numerous publications including The Complete Idiot’s Guide to Eating Well with IBS and the coauthor of the New York Times Best Seller, 21 Day Tummy. Kate has been interviewed by Yahoo Food, The Boston Globe, Fox News, Men’s Fitness, Redbook, Gluten-free Living and numerous media outlets. She has been an invited speaker at many leading gastroenterology conferences nationally as well as the coordinator of nationwide nutrition workshops for health professionals, overseeing all facets of the workshop: creating suitable digestive health friendly menus for participants, selecting speakers, and managing content. She is currently involved with the Monash University FODMAP research team in an international food analysis study. Kate shares her digestive health knowledge and health professionals via her internationally known and subscribed blog, Well Balanced, twitter and Instagram.